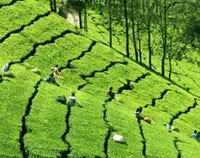 The most famed tourist destination in South India is Munnar. Munnar is one of the beautiful piece of the "God’s Own Country" and it nurtures many other such beautiful pieces within itself. 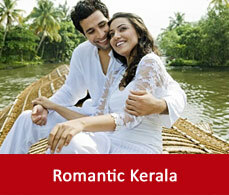 These pieces makes Munnar more and makes it a honeymoon destination as well. Cradling between the trails of mountains and waterfalls Munnar has given birth to some of the beautiful destinations on earth which are the best places to visit in Munnar.The below mentioned list suggests you with some of the Munnar places to visit. 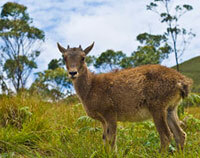 This national park is home to the Nilgiri Tahr.The Park extends its limit upto 97 sq. km. 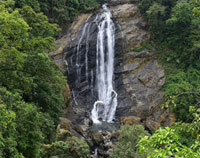 It is nestled at the crest of the Western Ghats and falls in the high ranges of the Idukki district of Kerala. Other than the endangered Tahr species this park is the domain of the Nilgiri marten, small clawed otter, dusky striped squirrel etc.Take a tour of one of the famous tourist places in Munnar and lost yourself in the world of adventure. 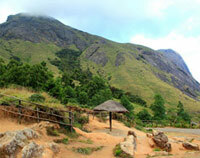 Mattupetty is situated in the hill town of Munnar and is situated at a height of 1700m. It is an ideal place for nature lovers. Cradling between the lush green tea plantations, mountain chains Mattupetty is surrounded by the Shola forests which is home to many unique bird species.Mattupetty dam and Mattupetty lake are one of the famous places to see in Munnar. 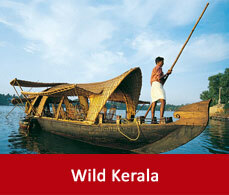 There you can go for trekking and boating which are one of the popular things to do in Munnar. Experience the highest peak of Western ghats and South India at a height of 2695m. It falls in the Eravikulam National Park and is home to many endangered flora and fauna.It is all covered with forests and some serene rivers and shares its view with Tamil Nadu also. Anamudi, one of the beautiful Munnar tourists places also provides you with the option of trekking to the highest point of Anamudi to get a feel of standing high above form all the South Indians. 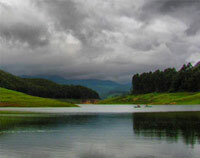 One of the best places for Munnar sightseeing is about 8kms from Munnar. With its velvety lawn,exotic flora and fauna and refreshing mountain air gives satisfaction to a vacationer. Here you can do trout fishing in the mineral waters of the Sita Devi lake. 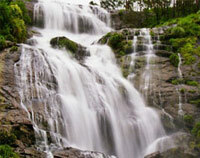 This breathtaking waterfall is located between Nyayamakad and Rajamal. This water cascade falling from a height of 1600m on its gravel banks is ideal for picnic and trout fishing. This waterfall falling from the lush greenland draped mountains is one of the best places for sightseeing in Munnar.You can experience some of the exotic range of flora here. This place you can say as photographer’s hub. The place is named so as the photo of this place looks good in photographs. People crave to take some of the best clicks here. It is a tea garden and falls on the way to Mattyppetty. It is 40kms from Munnar in the Idukki district. It holds some of the remains of Dolmenoid cists from the megalithic age. 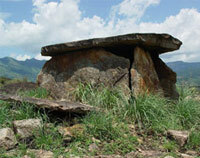 Dolmenoid cists have some of the burial chambers. 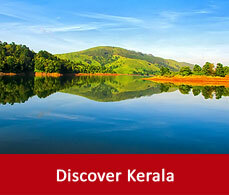 Apart from this you can take a tour of one of the major Munnar attractions i.e. the sandalwood forests and pre-historic rock paintings. It gets its name because of the natural echo phenomenon here. 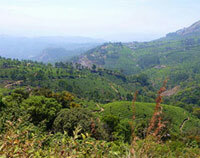 You can travel to this point to have a view of the top station of Munnar and the famous Neelakurinji also blooms here. You can get the full feel of Munnar here. The mists of the mountains engulfing the greenary and the view of the old bridge and narrow roads is very scenic. 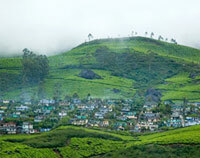 You will love to have a sip of tea at the nearby shop in Pothemadu and get the whole feel of Munnar.